When we work with seniors and their loved ones, one of our primary goals is that they are able to find and pay for good long-term care. Unfortunately, there may come a time when the senior is no longer able to care for him or herself. While the preference of both the senior and his or her family may be for the care to be provided within the home, this may be impractical for a number of reasons that include, but are not limited to, the cost involved for such care and the needs of the senior. In these instances, the senior and the family may need to turn to long-term care outside the home. A number of long-term care options exist to assist Older Americans meet their long-term care needs. These can include independent living facilities, assisted living facilities, and skilled nursing homes. In each of these facilities, the senior can receive a number of different services based on his or her care needs and the services the facility provides. It can be hard for families to afford the cost of care in a long-term care setting. These costs need to be paid, in addition to the household bills where the community spouse may be living at the time and still need to support him or herself. Often, without planning to cover these costs of care, the senior’s assets may be quickly depleted to cover the monthly bill for the long-term care facility. To begin to understand how much long-term care may cost in our state you can look at the Genworth Cost of Long-Term Care Study. There are government benefits programs that may be able to help the senior and his or her family afford the high cost of long-term care. These programs are based on need and have certain tests based on a variety of thresholds that are health, income, and asset based that the senior must meet to qualify. One such program is the VA Pension program. Through the Department of Veterans Affairs, a veteran with qualifying military service and his or her dependent, such as a spouse, may be able to qualify for this monthly, tax-free benefit. This benefit is not tied to disability or service-connected injury in any way. The veteran must have at least ninety days of active duty of which one day of this service was during wartime according to the Department of Veterans Affairs Eligible Wartime Periods. The Department of Veterans Affairs changed the rules for qualification on October 18, 2018. One of the things the new rules did was establish a limit for the countable assets for the veteran, or the claimant, and his or her spouse. Under these rules, the claimant and his or her spouse cannot have more than a combined $126,240 in the year 2019. This amount is subject to change annually and expected to increase by the same percentage as the cost-of-living increase for Social Security benefits. Similar to our state’s Medicaid program, there are certain assets that are exempt from this calculation. For example, the veteran’s primary residence is not counted as long as it does not exceed two acres in size, unless the additional acreage is not marketable. For more information, you can attend our workshop to learn more where we explore what options are available to you and your family as you proceed along the Eldercare Journey. Whether your child is just beginning to receive college acceptance letters or is preparing to leave home for the upcoming semester, your child is planning ahead for his or her future. As a parent, protecting your child does not stop when he or she leaves for college. Your role in their life, however, may have changed. Once your child turns 18, he or she is considered an adult in the eyes of the law. Accordingly, your ability to help him or her with their finances or medical decisions may be limited. We know this can be a challenging and emotional time, which is why we want to share a few ways to use estate planning to protect your child when they are not with you. The first step, and perhaps the most important one, is to talk to your child about their planning options. As a parent, it is important to express any concerns you may have about their safety and well-being. Try to remember that your child is now an adult and may be hesitant to allow you access to their bank account or medical records. Talking to them about the importance of creating planning documents, however, and sharing examples of scenarios where you would use your decision-making authority may help make this conversation easier. After you have had this discussion with your child, we encourage you to think about your goals for your child’s protection and the types of planning documents you need. A durable power of attorney is a document that provides you with the authority to make decisions if a legal or financial situation arises while your child is away at college. This can be for simple matters, for example, if there are issues with your child’s lease or if you would like access to your child’s grades. It is important to keep in mind that if you do not have an established durable power of attorney, your child’s bank, college, or rental company is within their rights to refuse sharing your child’s information with you, even as their parent. Finally, health care documents are a crucial part to any estate plan, particularly when it comes to your college student. If you do not have HIPAA authorization, for example, or a health care power of attorney set up, medical professionals could refuse to allow you access to your child’s medical records. Designating a health care power of attorney before your child leaves for college can help combat this issue from arising. College is an exciting time for both you and your child. No matter where your child lives, however, accidents and unexpected situations can arise. By planning ahead and creating planning documents for your child’s protection, you can feel confident handling any circumstance that comes up. If you have any questions or are ready to begin planning, do not wait to contact our office or attend a free seminar to learn more. 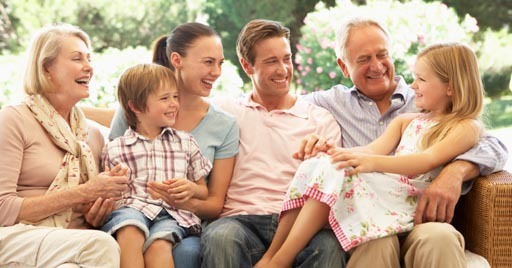 Did You Know Your Estate Planning New Year's Resolutions Can Protect Your Family? Many of us view the New Year as a fresh start. It is a time to reflect back on the things we wish we had prioritized the previous year and create resolutions to accomplish new goals or hold ourselves to a higher standard for the upcoming year. While many people create resolutions focusing on exercising more or eating healthier, have you considered making resolutions that can protect your family? We encourage to think about more than just spending more quality time with your family and, instead, going a step further and putting protections in place in the event you experience an accident or sudden illness. Do you need help knowing where to get started? Let us share three ways to create an estate plan that can help protect you and your loved ones this New Year. Create a plan for your minor children to keep them protected. When it comes to your children, you can never be too prepared or plan too far in advance for their future. Preparing for your minor children’s care in the event of your death is a necessary challenge of being a parent. One way to ensure your children are well taken care of after you are gone is to create a comprehensive estate plan that designates a guardian to care for your children. This should be someone you trust implicitly to care for your minor children and help raise and guide them into adulthood. You may also wish to plan to take care of your children financially by creating a trust and placing funds in it for their behalf. Create a plan for yourself in the event of an accident. As important as it is to plan for your children’s protection, it is equally as important to create a plan that protects you as well. A living will, also known as a healthcare directive, is a legal document that outlines your end-of-life medical care wishes. This document helps loved ones and healthcare professionals to make appropriate medical decisions on your behalf when you are unable to make them yourself because of, for example, you experience a serious illness or are in a bad accident. The provisions within a living will do not take effect until you are legally and medically declared unable to competently make medical decisions for yourself. Create a plan for your legacy. Creating an estate plan is more than just compiling a series of documents. It is the embodiment of the legacy you wish to leave behind for your loved ones. Creating and sharing your goals and thought process behind making each decision related to your estate plan is a way to share your legacy with your loved ones while you still have the opportunity to do so. These are just a few of the ways you can help protect your loved ones this year. Do you have other ideas? Do not hesitate to let us know! Your family’s safety and your legacy are very important to us. We encourage you to attend one of our free estate planning seminars to learn more and qualify for a complimentary meeting with an attorney so we can discuss your estate planning related questions.